Kaziranga is a UNESCO world heritage wild life preserve in the Indian state of Assam in Eastern India. It is spread over 450sq miles and is one of the premier wild life reserves in the world. The Kaziranga wild life park teems with animals and is home to the great one horn Indian rhinoceroses and as well as tigers and elephants, not forgetting a galaxy of birds and other wild life. The game reserve came up in 1905, during the days of the Raj. Lady Mary Curzon, Baroness of Kedleston the wife of the Viceroy Lord Curzon of Kedleston visited Assam to see the fabled rhinoceros. Unfortunately she saw only one after a two day stay. This unnerved her and she mentioned this to her husband that perhaps there was indiscriminate poaching of rhinos and they need to be preserved. The Viceroy of India agreed and he set in motion a plan to have a wild life park in Assam. The efforts of Lord Curzon bore fruit and in 19o8 the wild life reserve got official sanction. This became a protected area for wild life. Indian now must thank Lord Curzon for taking this momentous step that has seen one of the finest wild life parks in the world take shape. After independence the park got constitutional protection and became the home of the Indian elephant, great one horn rhinoceros, tigers and other animals. The park now is spread Dover 450 sq. miles and is a treasure trove for the flora and fauna of India. 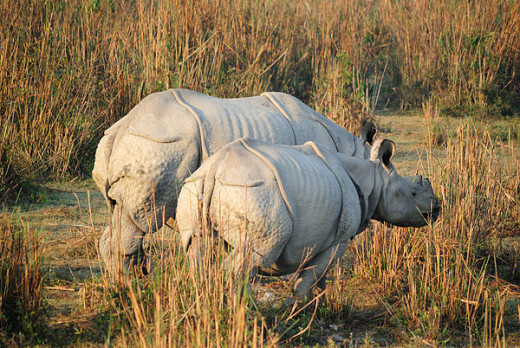 Kaziranga is a boon for wild life enthusiasts. 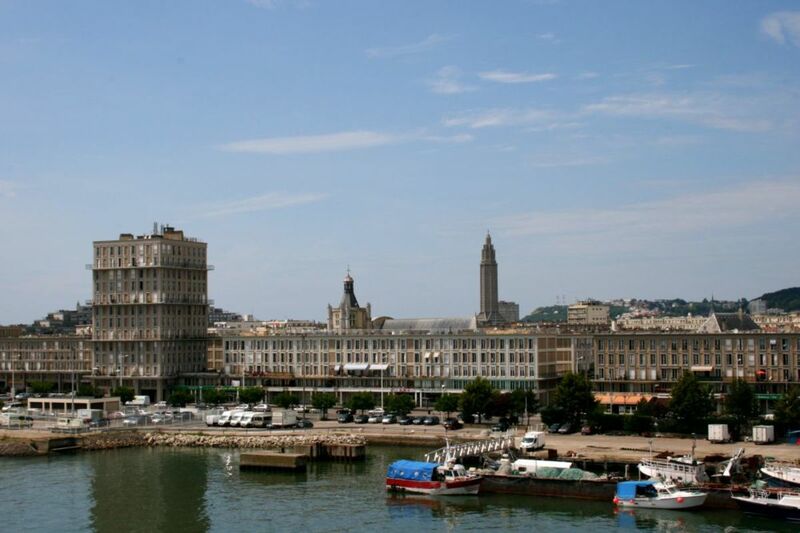 It contains a home for breeding of 35 mammalian species. The park is home to world's largest population of the Great One-Horned Rhinoceros, wild Asiatic water buffalo, and eastern swamp deer. In addition significant population of elephants, gaur and sambar as well as smaller animals like, wild boar, hog deer wild water buffalo abound here. 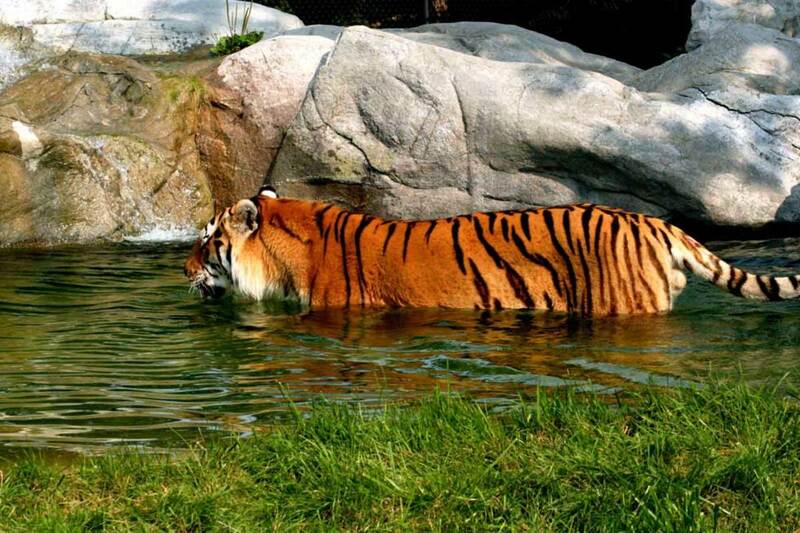 Not to be left behind the Indian tiger the most ferocious animal in the world is also part of this habitat. The game sanctuary teems with animals and it is not possible to make a catalogue of all the species that have this jungle as an abode. The Birdlife International has identified Kaziranga as one of the heritage sites as it is home to a variety of migratory birds, water birds, predators, scavengers, and game birds. Kaziranga was once home to seven species of vulture, but now for some inexplicable reason only the Indian vulture is available. This shows that somewhere greater efforts are called for in preservation of wild life in this park. Basically Kaziranga is an untouched forest area that has 4 rivers flowing through it including the mighty Brahma putra. There are also many small ponds in the entire forest and thus conditions are conducive for growth of wild life. The forests have miles of grass lands with elephant grass and these form the natural habitat of the one horn rhino and the Indian elephant. No conflict has been reported between the 3 main species i.e. Tiger, elephant and rhinoceros and each species lives within its limitation. This is an excellent example of peaceful coexistence. 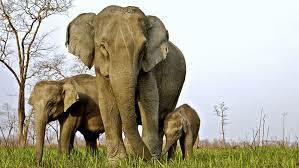 Kaziranga attracts thousands of visitors, many from the European nations where such animals do not exist. The park rivals the best of the African parks. Visitors can visit the park the year around and the point for departure for the park is Guwahati, the capital of Assam. Guwahati is well collected to all international airports in India and is also a rail head with direct AC an superfast trains connecting to all major cities of India. 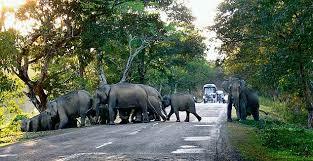 From Guwahati one can hire a taxi or a luxury bus and travel to Kaziranga. On arrival one can book an elephant for a romp through the jungle as the area is not suitable for road transport with miles of elephant grass. The elephants will take the tourist into the interior and one can witness the rhinoceroses in their natural habitat. Its great fun and a real experience and something that can be unforgettable. Excellent accommodation is available at the Bonoshree Tourist lodge run by the Assam government as well as huts and lodges run privately. Food is not a problem, but the stress is on Indian food. Kaziranga is the realization of the dream of that great Indian English writer Rudyard Kipling. His books on the Indian jungles and the character Mowgli come alive at this park. The park is a must for visitors to East India and most Europeans love to visit this park, which is the best in Asia. No other park can match the flora and fauna of this park Indeed where can one see tigers, rhinos and elephants at one place. I don’t think there is any such place in the world. Thank you Besaeien for your comment. Yes, Kaziranga is indeed a lovely forest with lots of wild life and wortha visit. 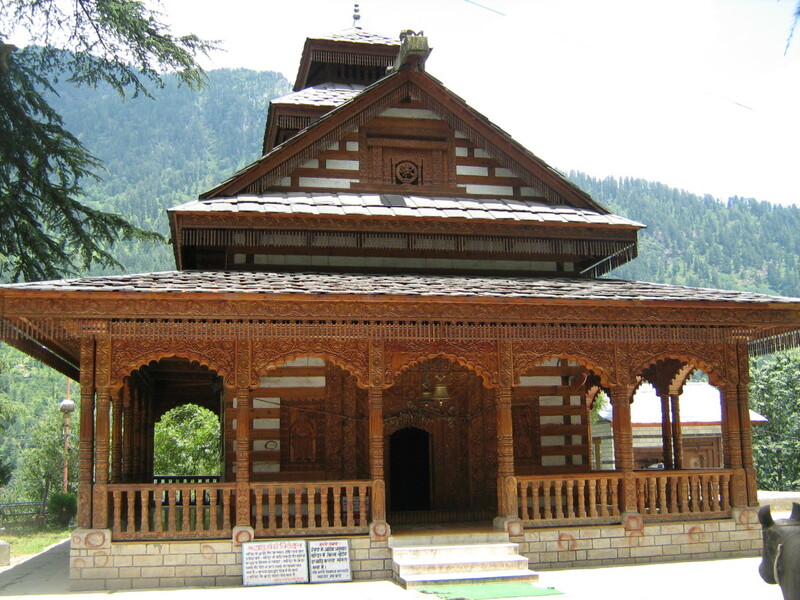 Wow, Kazirranga looks like an amazing place! This is a beautiful, well-written hub that makes me want to run away to safari on an elephant. I hope I get to see it one day. I enjoyed this hub and pictures so much. Thank you for sharing this information. Knowing these wonderful creatures are protected is a blessing. Well done! !